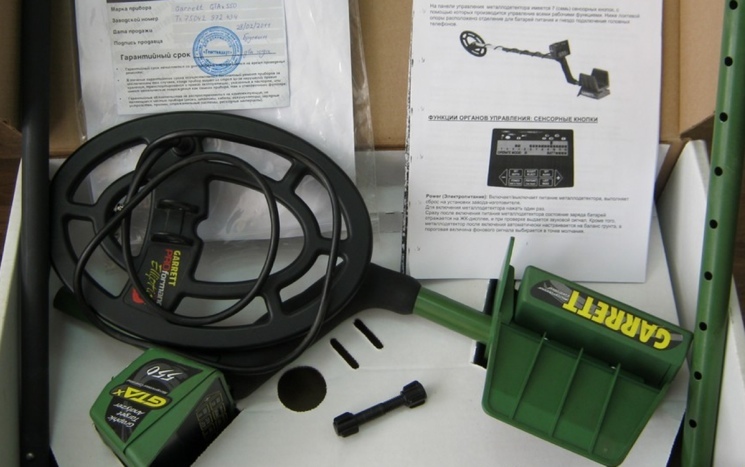 Choosing the right metal detector for your particular needs is vital. Any detector is going to cost you a few bucks and you want a machine that offers the features you need and depend on. 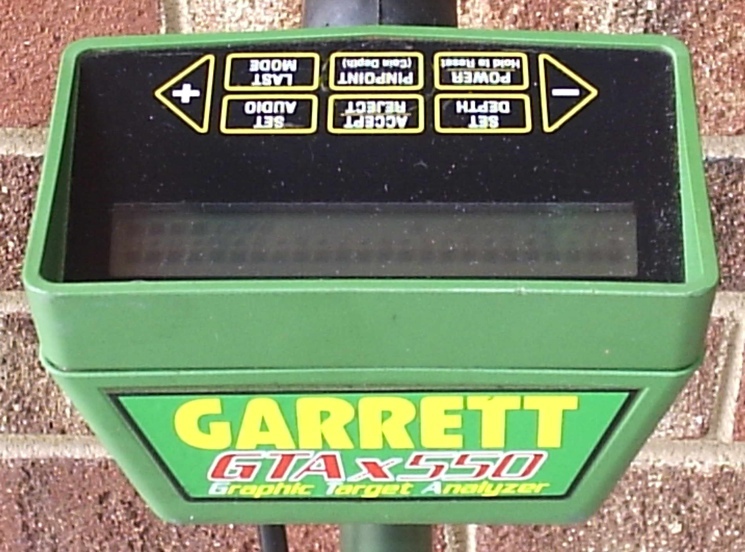 Let’s take a close look at the Garrett GTAx 550 metal detector. We will look at specifications, user friendliness, the features and how well they work and put this device to the test to see if it lives up to how it is marketed. Whether you are a veteran or a beginner, take a closer look at the GTAx 550 metal detector to see if this is the one for you. The Garrett GTAx 550 metal detector is quickly becoming known as a true metal detection workhorse, which is marketed as a high performance, strong discrimination, versatile machine. Let’s begin by looking at the specification on this device and then we will discuss how well this detector operates out in the real world. Some features are completely expected, obvious and needed and other are a nice, extra touch. 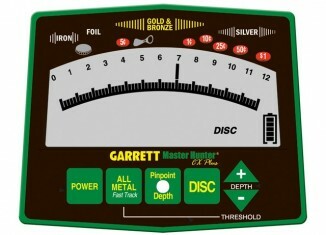 The Garrett GTAx 550 metal detector has an adjustable audio threshold, a GTA Accept/Reject for discrimination, a graphic target analyzer, a headphone jack (can you imagine a detector without one), a hip mount battery pack (this is a good feature as some models have absurd designs regarding batteries), last mode switching (does not save you a ton of time but a sweet feature to have nevertheless), the LCD shows target ID and settings, it is microprocessor controlled, gives you coin depth measurement for pinpointing, depth sensitivity adjustment, a speaker (again, an obvious one to even list), the expected surface mounted PC board technology and touchpad controls with one touch operation (this is a certain plus). Now, regarding search modes, you’ve got two with the Garrett GTAx 550 metal detector: Motion A zero discrimination and Motion B coin discrimination with visual target ID. The settings are either depth sensitivity adjustment or full range. For the newbie, you do have a fairly good instructional video to watch and for those who have been frustrated before with 9 volt battery machines, the Garrett GTAx 550 metal detector review fortunately runs on two AA’s. This machine is pretty rugged, but you are backed up by a two year limited warranty for parts and labor on any needed work repair. Now for how this baby works in the real world. Overall, this is a very good machine for the money and quite a few happy owners have found treasure that they are happy with. The GTAx 550 metal detector was able to find a rare coin in an area that was previously searched for over ten years. This is quite impressive. However, overall, this is a solid middle-of-the-line machine. It will give you good results; however you may have a few missteps. Some improvements that Garrett may want to think about in the future is to keep the target ID from being so jumpy although once you have used this device for a while you learn to interpret the readings that you see, an adjustment on its discrimination mode as once in a while it may signal you to an object that you’ve set it to reject (that is supposed to be the purpose, right? So why not have it fully and completely operate as it should in discrimination mode?) And better performance in a beach environment would be of help, as some find the sensitivity to be reduced a bit on the sand.